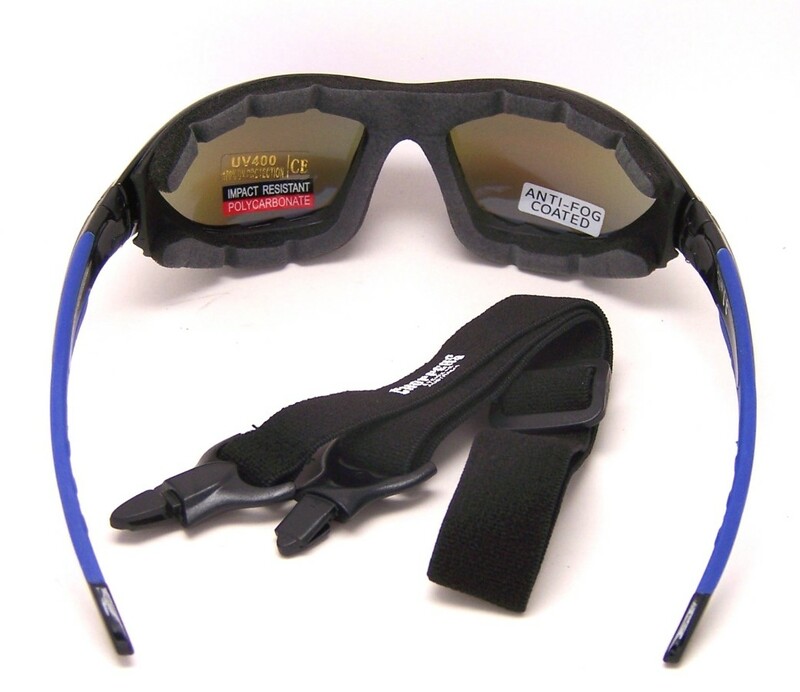 Choppers lightweight motorcycle goggles fitted with Gold Mirror Tinted Lens to act as the perfect sunglasses when riding a motorcycle or other activities. Can be worn with an open faced or closed helmet. 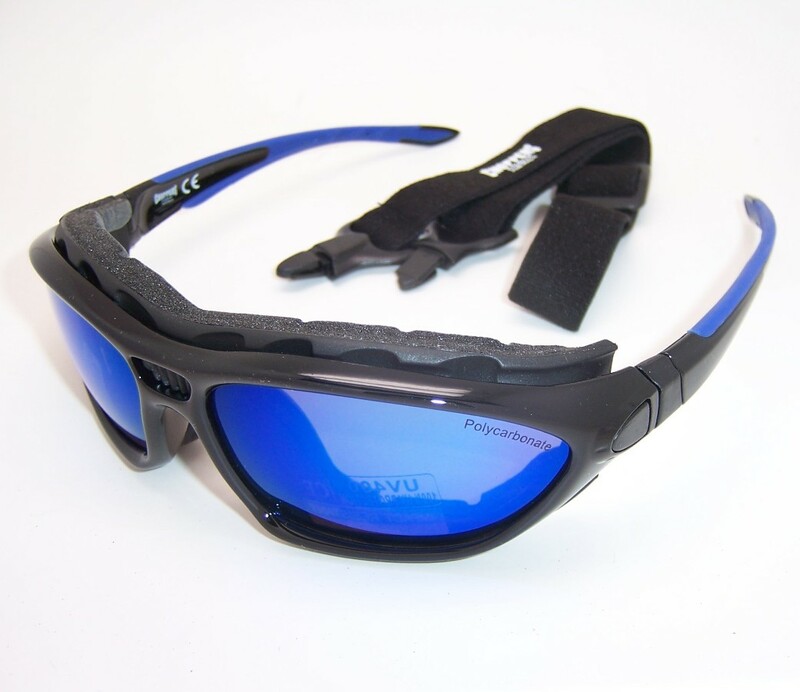 The goggles come with UV 400 protected, durable polycarbonate scratch proof lenses with an adjustable and detachable soft headband strap to be worn as goggles or sunglasses. 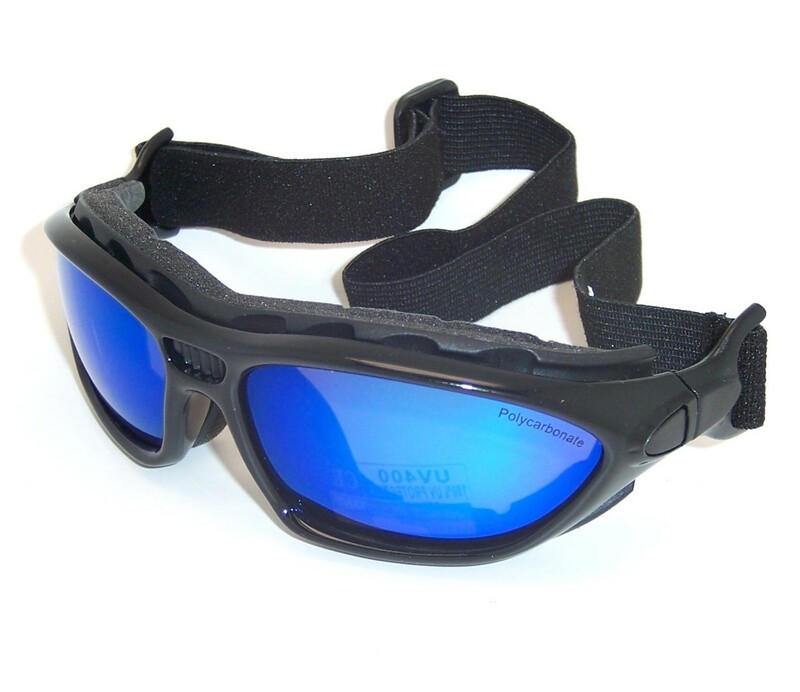 The goggles are also fitted with grooved, soft padded foam inside the frames to fit comfortably against the face. 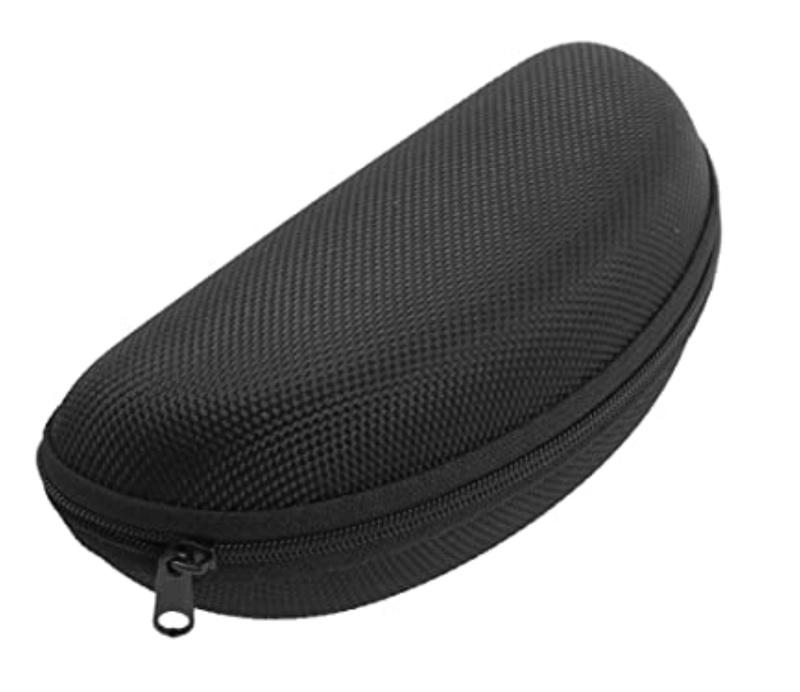 Chopper brand, high quality motorcycle glasses, black finish frames. 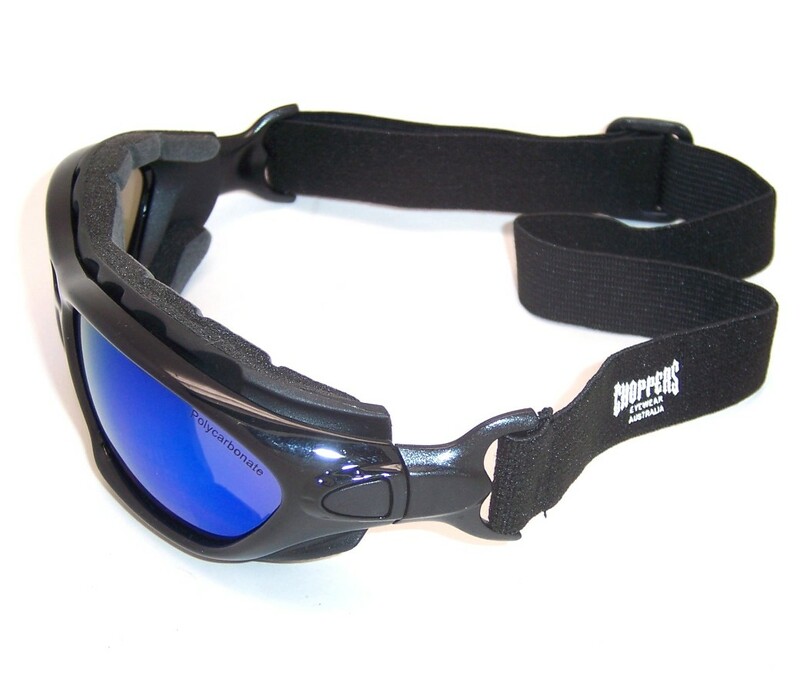 8804-SMB Choppers Goggles Sunglasses (Anti-Fog Coated) is interchangeable with removable strap and arm. 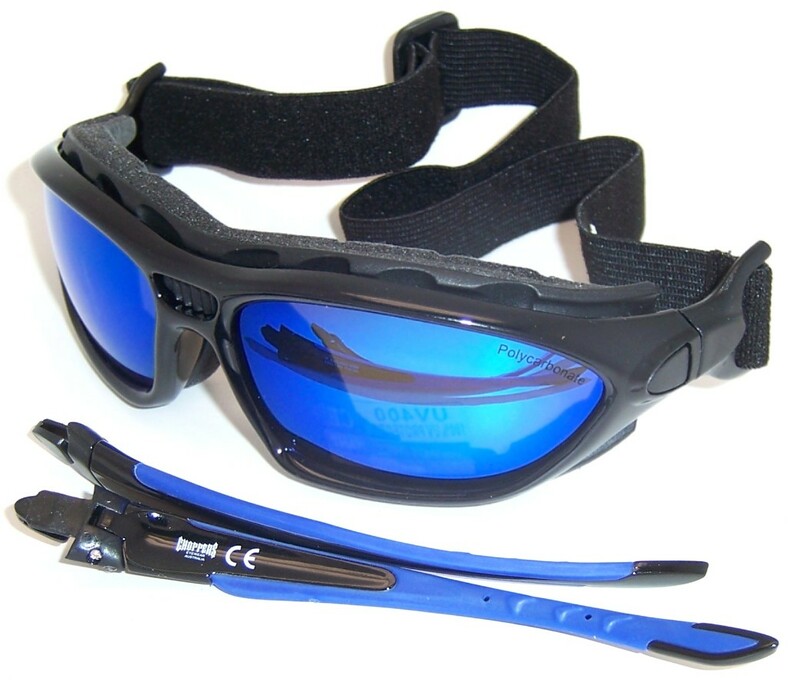 8804-SMB Choppers Goggle Sunglasses Black Frame Goggles Revo Blue tinted lens are great for Snowboarding, Motorcycle, Watercraft, Skiing/Snowboarding, Action Sports, ATV. 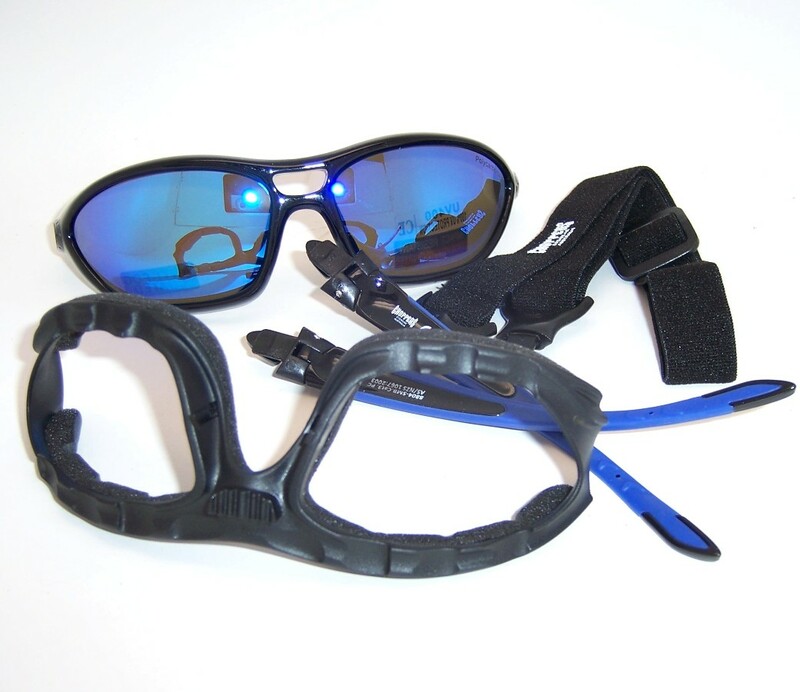 8804-SMB Choppers Goggles Sunglasses (Anti-Fog Coated) Goggles Glasses are suitable for larger faces. They won't get lost in the water because they float!